Sebaceous cysts are small, painless and noncancerous growths on the skin. These cysts are filled with sebum or keratin and vary in size from 1/4 inch to 2 inches. Sebaceous cysts form when the passage where the oil leaves from the glands gets blocked. Reasons for the development of sebaceous cysts are deformed duct, damage to the cells, genetic conditions or surgical trauma. Though these cysts are not painful or dangerous, they can become a cosmetic problem and sometimes drain out a foul-smelling liquid. Sebaceous cysts can be treated using some simple home remedies like tea tree oil, warm compress, apple cider vinegar, castor oil and many others. There are various tried and tested remedies to get rid of sebaceous cysts. For your convenience, we have listed them below with a detailed description. Tea tree oil contains anti-inflammatory, antibacterial and antimicrobial properties. It is one of the safe and best methods to get rid of sebaceous cysts. Wash the sebaceous cysts with mild soap and water. Add 2 drops of tea tree oil on a cotton ball. Place it on the cyst and secure with a bandage. Leave the application for 8 – 10 hours. Remove the cotton ball and rinse with lukewarm water. When warm heat is applied on the sebaceous cysts, it speeds up the healing and draining process. Heat dilates the blood vessels, improves blood circulation and washes out the toxins. Dip a clean cloth in hot water. Wring out the excess and place the cloth on the sebaceous cysts. The acetic acid present in apple cider vinegar kills the bacteria causing infection. It helps to remove the pus from the inflamed cyst. Place it on the sebaceous cyst and secure it with a bandage. Replace everything with a fresh cotton ball and bandage. Repeat the process daily until a hard layer forms on the cyst. Gently peel the hard layer to drain out the pus. Clean with a dry washcloth. Note: Don’t worry, the new skin will grow within 3 – 4 days. Castor oil contains antibacterial and antifungal properties. It also helps to reduce the inflammation and itching caused by sebaceous cysts. Clean the sebaceous cysts with mild soap and water. Dip a small washcloth in castor oil and place it on the sebaceous cyst. Apply warm compress on the washcloth. This helps to open the pores and let the oil penetrate deeply. Leave it on for 5 – 8 minutes. Remove and wash off with water. Aloe vera is rich in antibacterial and pain relieving properties which provide relief from the discomforts caused by cysts. Apply 1 teaspoon of aloe vera gel directly on the cyst. Massage the gel in circular motions for 1 – 2 minutes. This helps the aloe vera to penetrate deeply. Repeat the process daily for few days to remove sebaceous cysts. Tea contains tannins which possess anti-inflammatory properties. It also helps to speed up the healing and draining process. Soak a tea bag in 1/2 cup of water. Let it steep for 1 – 2 minutes. Apply the tea bag on the sebaceous cyst and secure with a bandage. Leave it on for 8 – 10 minutes and discard the tea bag. Repeat the process 3 times in a day for a week. Epsom salt contains anti-inflammatory properties. It also helps to drain out the pus and dirt accumulated in the cyst. Add 2 teaspoons of Epsom salt into 1/4 cup of water. Apply the solution on the cyst and leave it to dry completely. Repeat the application 4 – 5 times in a day. Cabbages are loaded with amazing benefits which are helpful in healing the skin and clearing the cysts faster. Bring 1/2 liter of water to boil. Add 1 – 2 cabbage leaves into it and let it simmer for 2 minutes. Remove from the flame and strain the solution. Place the warm cabbage leaves on the cysts. Discard the cabbage leaves, wash the affected area and pat the skin dry. The bioflavonoids present in milk thistle reduce the inflammation and soreness caused by cysts. It prevents the formation of toxins and formation of cysts. Add 1 teaspoon of milk thistle into it and let it boil for 2 – 3 minutes. Cover the vessel and remove from the heat. Let it steep for 2 minutes and strain the milk thistle tea. Discard the leaves and drink the tea while it is still warm. Repeat the process 2 times in a day for 1 week. Witch hazel contains tannins which are beneficial for controlling excess oil production of sebaceous glands. It also contains astringent properties which are helpful in treating sebaceous cysts. Using your fingers, apply few drops of witch hazel directly on the sebaceous cysts. Using little pressure, massage in circular motions for 1 – 2 minutes. The citric acid present in lime powder breaks down the cyst formation. This process is one of the quite respites for treated infected sebaceous cysts. Combine 1/2 teaspoon each of lime powder and water to make a paste. Apply the paste on the cysts. Leave it on to dry for 15 – 20 minutes. Note: If you are trying this process for the first time, then the application may cause a stinging sensation. Don’t worry its quite normal and will reduce in some time. If you are experiencing stinging sensation even after rinsing off the application then apply rosewater to reduce it. The antiseptic properties of garlic destroys the infection that cause bacteria. It is one of the most effective remedies to reduce the swelling and other discomforts caused by sebaceous cysts. Peel the garlic cloves and grind them into a paste. Apply the paste on the cysts and secure it with a bandage. Repeat the process 4 – 5 times in a day. Honey contains antimicrobial properties which destroy the bacteria causing cysts. Cinnamon contains microdermabrasion properties for de-clogging the pores. Combine 3 tablespoons of raw honey and 2 teaspoons of cinnamon. Apply the paste on the sebaceous cysts. Repeat the process 3 times in a day for 1 week. Alternative: You can use egg white instead of cinnamon. In few cases, sebaceous cysts can be painful too. The starch content and vitamins present in potatoes exfoliate the impurities clogging the pores. Chop a potato into thin slices. Place a potato slice on the cyst and secure it with a bandage. Next morning, replace with a new potato slice and bandage. Continue this process for a week to notice the results. If the inflamed cysts are troubling you then this process is most effective in treating them. Sandalwood contains germicidal, antiseptic and soothing properties. Rosewater contains astringent properties. Combine 1/2 teaspoon each of sandalwood powder and rosewater. This combination is one of the most effective herbal remedies for treating sebaceous cysts. Turmeric contains antibacterial properties while mint juice reduces oil production and swelling. Grind 5 – 6 mint leaves into a paste. Using a muslin cloth, strain the paste to extract the juice. Add 1/4 teaspoon of turmeric powder to the mint leaves juice and mix well. Leave it to dry for 25 – 35 minutes. Rinse off the application with lukewarm water and pat the skin dry. Repeat the process 3 times in a day for 4 – 5 days. Baking soda contains anti-inflammatory and exfoliating properties. It is one of the cost-effective methods for removing sebaceous cysts. Combine 1/2 teaspoon of baking soda and 3 – 4 drops of water. Apply the mixture on the cyst directly. Leave the application to dry for 25 – 30 minutes. Burdock contains antifungal, anti-inflammatory and antibacterial properties. It is one of the traditional remedies for treating chronic skin ailments including sebaceous cysts. Take 2 tablespoons of coarsely chopped burdock (fresh) or 1 tablespoon of dried burdock root. Add it to 3 cups of water and bring the mixture to boil. Simmer for 30 minutes and remove from the flame. Drink this tea 2 – 3 servings throughout the day. Warm it up before consuming. For added taste, you can add some honey. Alternative: You can dip a washcloth in the warm tea and use it as a warm compress on the sebaceous cyst. Red clover is one of the alternative medicine for treating sebaceous cysts. It contains phytoestrogenic isoflavones which are very helpful in treating any skin and health ailments. To 2 cups of hot water, add 2 teaspoons of red clover flowers. Let it steep for 15 minutes and strain the tea. Drink this tea 3 times in a day. Alternative: Blend fresh red clover flower by adding some water. Apply the paste on the affected areas and secure with a bandage. Leave it on for as long as possible, remove the application and rinse off with water. Goldenseal contains berberine which has anti-microbial properties. It helps to kill the protozoa, fungi or any other bacteria causing sebaceous cysts. Add 1/2 – 1 cup of goldenseal into a crockpot or double boiler. Pour enough olive oil until it submerges the herbs. Let the oil be 1 inch higher than the herb. Heat the mixture on low heat for 3 – 5 minutes. Now, let the oil cool down considerably. Strain the solution using a cheese cloth. Add enough amounts of beeswax into it and stir well until it melts. Pour the salve into a glass jar and store it in a dark place. Apply the salve on the cyst for 2 – 3 times in a day. Though there are no scientific reasons to prove it, frankincense oil can remarkably reduce the size of sebaceous cysts. It also contains anti-inflammatory properties. Add few drops of frankincense oil into 1 teaspoon of any carrier oil. Mix well and apply it on the cysts. Caution: Never use oil undiluted. Pregnant and breastfeeding mothers should avoid trying this process. Grapefruit seed extract is a natural germicide. It is one of the effective herbal remedies for treating sebaceous cysts. Using your finger, apply a drop of grapefruit seed extract on the sebaceous cyst. Leave it on for few seconds to a minute. Now, wipe with a tissue to remove the excess oil. Cover the cyst with a bandage. It contains anti-inflammatory, antiseptic and disinfectant properties. It speeds up the healing and draining process. Apply some potassium iodide directly on the affected areas. Dandelion leaves contain antimicrobial properties which are helpful in dealing with bacteria causing sebaceous cysts. Add 1 tablespoon each of dandelion and viola into a cup of hot water. Let it steep for 45 minutes and drink it. Repeat the process 3 – 4 times in a day for 10 days to notice the results. Guava leaves contain antimicrobial properties which promote quick healing, reduce inflammation and itching. Boil handful of guava leaves in enough amounts of water. Remove from the flame and let it steep for 15 minutes. Strain and wash the cyst using the solution. Echinacea increases the white blood cells and improves the immune system which reduces the infection caused by the sebaceous cyst. Add some Echinacea leaves in a cup of water. Taking clay tablets helps to flush out the impurities present in digestive system and clear up the sebaceous cysts. Colloidal silver reduces the inflammation and improves the immune system functioning. Apply the cream on the cyst daily until it clears. Consuming 1 – 2 tablespoons of bee pollen purifies the blood and strengthens the immune system which treats the sebaceous cysts. Drink plenty of water to flush out the toxins. Exercise regularly and eat nutritional food to regulate hormone levels and prevent sebaceous glands. Use oil-free skin care products to avoid clogging pores. Avoid scratching, squeezing and popping the sebaceous cysts which can worsen the infection. It is better to avoid over sun exposure on the affected area. Reduce the intake of oily and spicy foods which prevent the occurrence of sebaceous glands. Reduce the amount of salt, spicy, carbonated and caffeinated drinks in your diet. If the pus drains out from the sebaceous cysts, apply a bandage to prevent infections. Change the bandage 2 times in a day. Wash your hands after treating or touching the cysts. 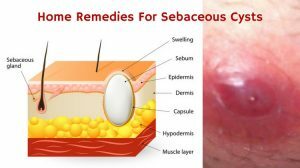 Barytca carbonica, graphites, silicea, nitric acid, bromium, conium, hepar sulphuris, thuja occidentails and Sabina are some of the homeopathic treatments for sebaceous cysts. Keep the surroundings of the cyst clean to avoid any infections. 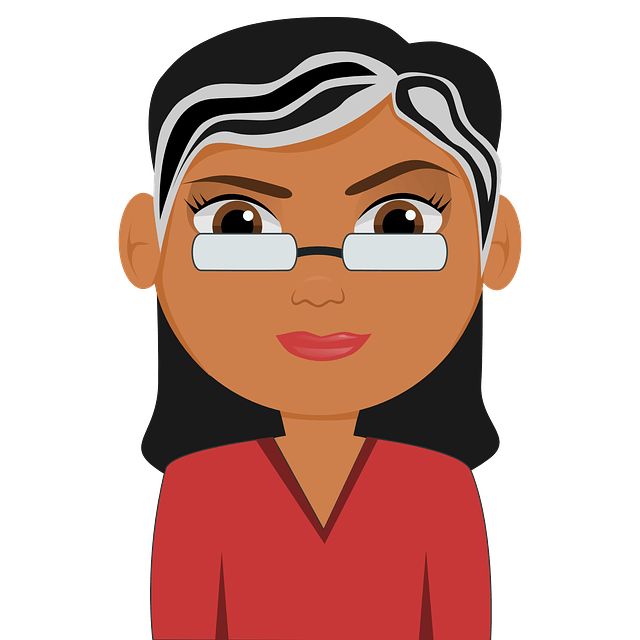 Did you find the information present in the article helpful? Do you know any other method that works better than the mentioned above? Share your experience, suggestions and queries in the comment section below. I don’t know what to do. I’ve gottan awhile bunch of pimples over nite with pus some hard and big and some with scabs this is all on my face from my cheeks chin and neck. Then on one side of my neck I got a really big one and it’s red and they all hurt and itch bad. Don’t know what else to try.